“Have no fear”. ( vs. 25-26) The words of Christ himself many times over were “fear not”. The words of the angels were always “fear not”; How or why can we fear not? Because God is for us, God is with us, and His law is right and just! What kinds of things do we fear in life? If we didn’t have anything in our life that troubled us – our human nature would trust in self. God desires that we trust in Him. I think our greatest fears in life come from those things that we have no control over! And, maybe that’s a good thing because we can overcome our fears by having faith in the one who can control things! 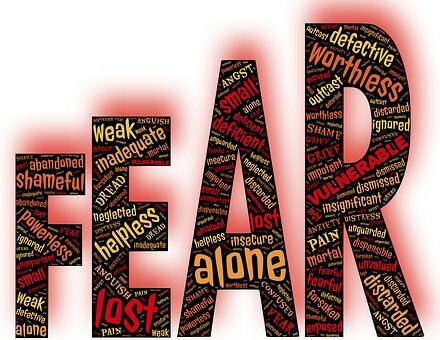 When I use the word fear I mean all levels of fear from general apprehension and worry to dread and terror. Fear starts out when we are very young with fears of things like darkness, monsters, etc. and it continues into our teenage years with fears of things like rejection, humiliation and failure. But, Adulthood is also filled with possible fears such as fear of disease, death, financial problems, broken relationships, loved ones being hurt, storms, failure, aging, crime, etc. There will be times when anxiety and fear will come into our lives, it is then that we have a choice to make – we can choose to focus on the problem and be overcome with fear or we can choose to focus on God; knowing He will be at our side.